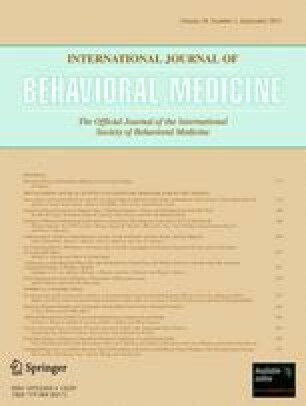 Despite the well-known benefits of physical activity (PA) on overall health, the majority of the adult population does not engage in sufficient PA. To develop effective interventions to increase PA, it is necessary to understand the most important PA correlates and to investigate whether correlates are similar in different population subgroups. This study examined associations between physical environmental perceptions and self-reported and objectively assessed PA in Belgian adults. Moreover, associations between psychosocial factors and PA, and the moderating effects of sociodemographic factors were investigated. A sample of 1,200 Belgian adults (20–65 years; 47.9% males) completed a survey measuring sociodemographic variables and psychosocial correlates, the Neighborhood Environmental Walkability Scale and the long-version International Physical Activity Questionnaire. They wore an accelerometer for 7 days. Perceiving neighborhoods to be high walkable (high residential density, high land use mix access, and high land use mix diversity) and recreation facilities to be convenient, and the availability of home PA equipment were the most consistent physical environmental correlates of PA. The strongest psychosocial correlates were social support from friends and family and self-efficacy. The psychosocial associations were most consistent for self-reported leisure-time PA and less clear for self-reported active transportation and accelerometer-assessed PA. Few significant sociodemographic moderators were found. Both physical environmental and psychosocial factors were associated with PA in adults, with psychosocial factors being important especially for leisure-time PA. Correlates of PA were similar regardless of gender, age, or socio-economic status, so interventions to change these factors could have population-wide effects. This work was supported by Fund for Scientific Research Flanders (FWO) [B/09731/01]. Dr. Sallis’ contributions were supported by National Institutes of Health grant [HL67350]. Dr. Owen’s contributions were supported by a Program Grant [#301200] from the National Health and Medical Research Council of Australia, and by a Research Infrastructure Grant from Queensland Health. We confirm that we have no conflict of interest. We have full control of all primary data and we agree to allow the journal to review are data if requested. All personal identifiers have been removed or disguised so the person(s) described are not identifiable and cannot be identified through the details of the story. National Institute of Statistics-Belgium 2008. http://www.statbel.fgov.be, FOD Economie-Algemene Directie Statistiek.